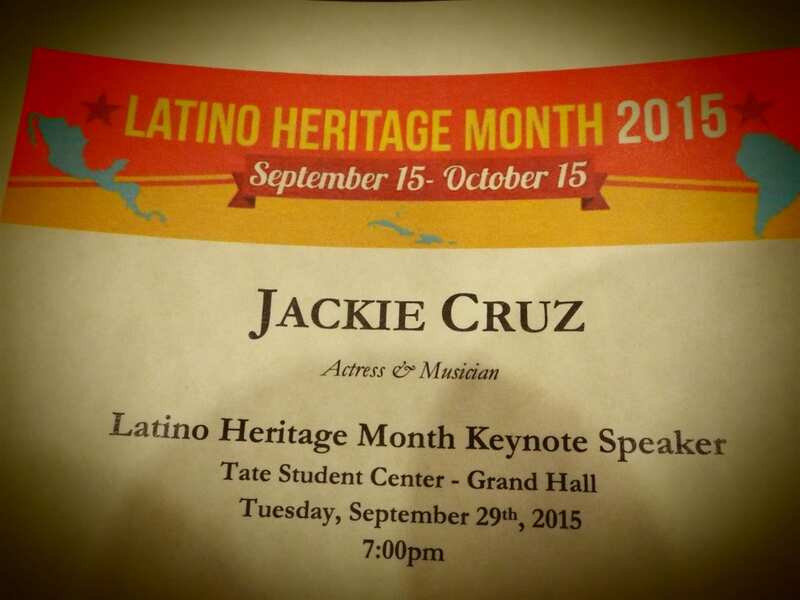 Jackie Cruz, also known as “Flaca” on Netflix’s Orange is the New Black, spoke in Tate Grand Hall Tuesday night as the keynote speaker for Hispanic Heritage Month at UGA. “You play the game, and then you change it,” Cruz said in regards to overcoming adversity. Cruz discussed her journey to stardom and her heritage. In addition, she explained how her mother worked very hard for her to have a better life. Her mother moved from the Dominican Republic to become a doctor but Cruz did not appreciate her mother’s work until her friend was in a car crash. To learn more about Cruz’s journey, you can visit www.jackiecruz.com.